You'll be £16.99 closer to your next £10.00 credit when you purchase Major & Mrs Holt's Definitive Battlefield Guide to Ypres Salient & Passchendaele – Fully Updated for 2017. What's this? There are recommended, timed itineraries, with each itinerary representing one day's travelling. Every stop on the routes has an accompanying description and often a tale of heroic or tragic action. Memorials large and small, private and official, sites of memorable conflict, the resting places of personalities of note – they are all here and joined together by a sympathetic and understanding commentary that gives the reader a sensitivity toward the events of 1914-1918 that can only be matched by visiting the battlefield itself. Holt's Guides deservedly have a legendary reputation. 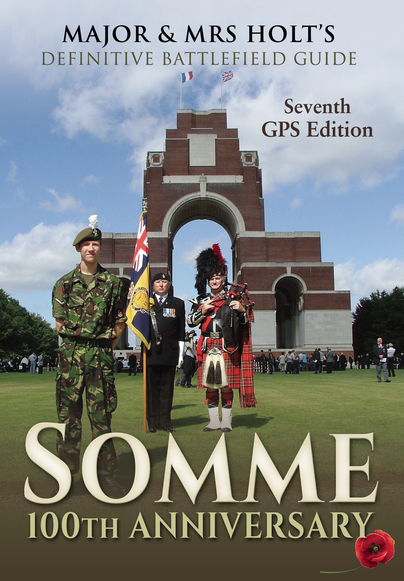 Their guide to the Ypres Salient has been lovingly updated every two/three years and is now in its eighth edition. 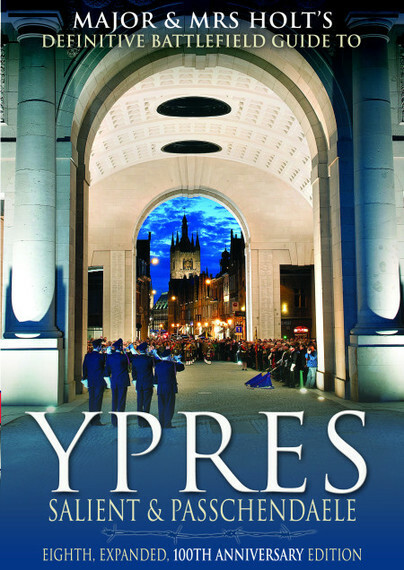 There are many modern guidebooks which enable visitors to travel around the Ypres Salient of WWI, but this one is the first and best and is to be considered the benchmark by which those others that have followed are judged. This latest edition, the eighth, is released to coincide with the 100th anniversary to commemorate the end of the war. It is right up to date with all the latest information on new memorials, additional facts and figures and new museum exhibitions. The accompanying map, also updated, could not be easier to find a location. A visitor could load up with a lot of unnecessary books, but there is no need when this is the essential guide, which really counts. In this one book there is so much information a visitor is guaranteed to see the best there is in the Ypres Salient. If imitation is an indication of quality, then we can be sure that the Holt's series of guide books are the bench mark for success. The Holt's format has been copied many times but never equalled. This latest Ypres Salient guide is described by it's authors as the definitive battle guide, it is a description that is difficult to challenge. Forty years of touring experience in the Salient have been distilled into a single volume, add maps, pictures, historical narrative and even GPS coordinates and you have an unrivalled resource for Battelfield Guides and tourists alike! The perfect introduction and accompaniment for anyone who wants to explore the Ypres Salient and by extension the great and terrible battlefields of Flanders. Holt's Guides to the Western Front and other battlefields are well known and respected and this latest guide maintains the high standard which they have set and which has earned them their place as best sellers. A brand new edition of the Holts's guide to Passchendaele and the Ypres Salient, the original and best introduction and guide to the battlefields of the Western Front. A truly inspirational and amazing book that has prompted so many people to ake the pilgrimage to see where their ancestors lived and died. Overall, this book does what you'd expect these series to do. It provides an all encompassing guide to anyone visiting the battlefield, ensuring that you will not leave the area having missed things. When visiting the battlefields undertaking research, it is often difficult to decide what to include in the suitcase, and what to leave given that every book reproduced can potentially be of use. The beauty of this boo, is that is ensures that you have the Ypres area covered in one book. Which can mean you can slot in another book for a different area. The best tribute I can pay to this title is that I wish I had, had a copy the first time I visited Ypres! It does exactly what it says on the tin ... and the cover ... and then some more. As guides go it's one of the best out there and you'll struggle to find better. As a user of this guide myself for many a year now I never tire of its no nonsense approach. An excellent Ypres guidebook and well worth packing on any visit to Flanders.